This week’s round-up is on the short side. I’ve been busy getting new posts written up and there is so much Me Mading to do. Goodness, this is a pretty sweater from Rabens Saloner. I have been knitting a lot lately with one strand of Isager Highland and one strand of Isager Alpaca I held together. It makes a lovely, light, affordable and warm sweater. I love to blend colours by using different colour strands. The sweater above gives me some great ideas for stripes. Might get some mohair involved too. 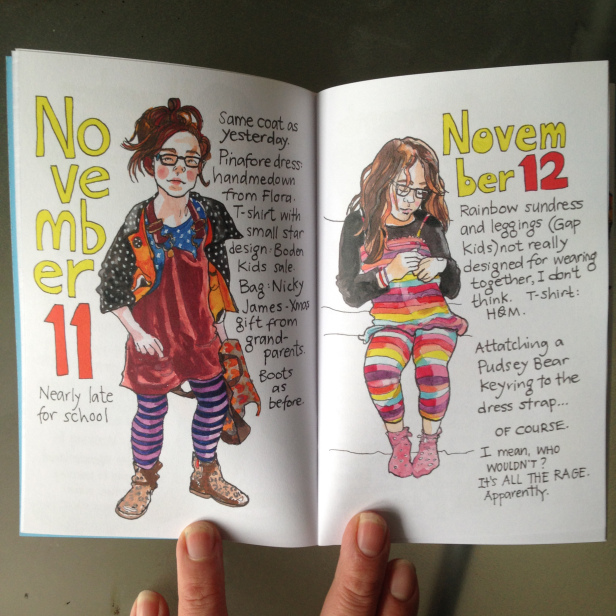 I love this comic by MYF Draws Apparently of everything her daughter wore in the month of November. Maybe I should draw my outfit for one day of Me Made May. A different kind of selfie. 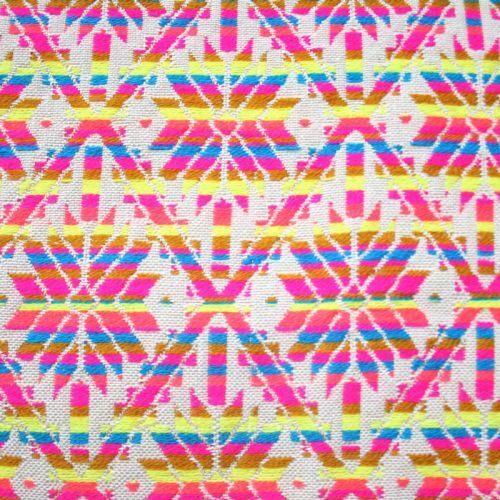 These Jacquards are the most delicious! 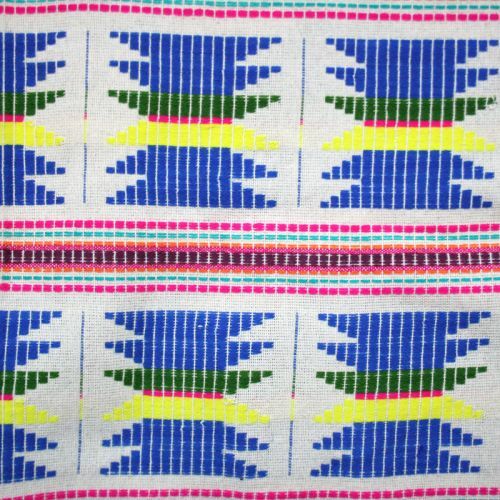 Now that I have realised my wardrobe lacks jackets and coats, I am on the lookout for great fabrics for them. I would love to make jackets with these! I hadn’t heard of Allbirds before. They make all wool running shoes. My feet would love these! Anything that my toes can wiggle in, makes me happy. Those jaquard fabrics – yes please! So yummy! I agree Hanna. I want all their beautiful jacquard fabrics. Have you looked on their site? 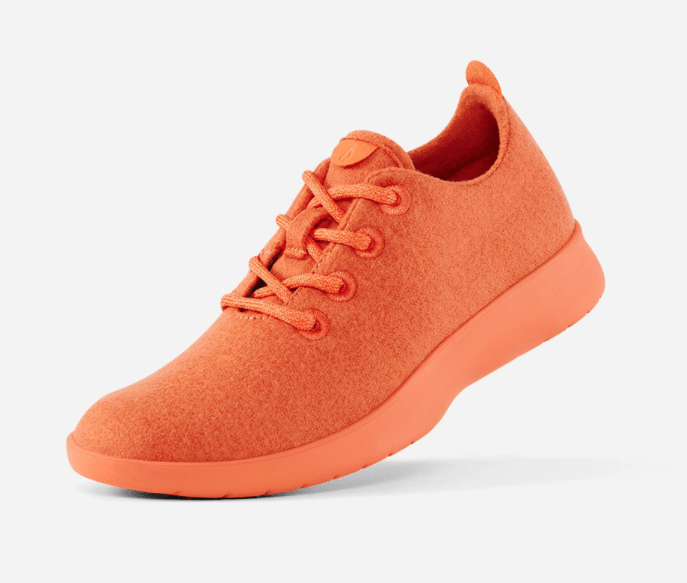 I saw the Allbirds shoes a while ago. I bought the green ones. They don’t deliver to the UK so off home to NZ to pick them up! Can’t wait. lucky you. Please report back on how comfy they are! I’m betting they are a dream.